Located only 10 minutes away from the centre of Cluj-Napoca, the hotel welcomes guests with the natural backdrop of the F?get forest, away from hustle and bustle of the town. The bus stop is on the hotel's doorstep. The hotel is located only 5 minutes away from the botanical gardens and the Sigma shopping centre, only 10 minutes from the old city, art museum, Iulius Mall and Polus Center shopping centre, and 20 minutes away from Cluj-Napoca International Airport. 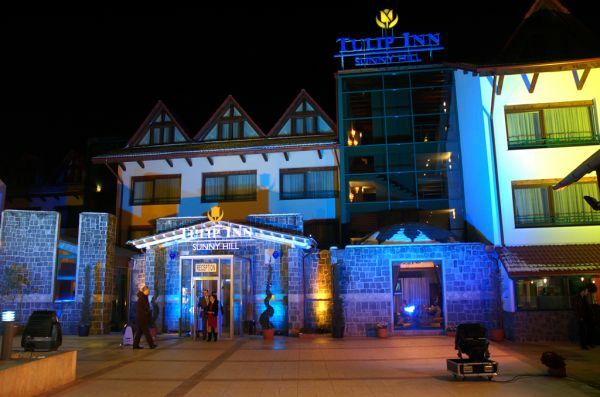 The hotel provides 50 guest rooms for great accommodation in Cluj Napoca. It is suitable for guests the most discerning tastes and needs, and offers a very attractive restaurant and a summer garden with a terrace. Renovated in 2010, the air-conditioned establishment welcomes guests in a lobby with 24-hour reception and check-out service. Further facilities on offer to guests include a hotel safe, lift access, a newspaper stand and a bar. WLAN Internet access, room and laundry services and a car park provide additional convenience. The conference rooms Cluj Napoca are ideal for business meetings, team-building and training programmes, product launches and corporate presentations, as they are very conveniently equipped with video projectors, projection screens, flipcharts, audio systems, the possibility to connect to a video/DVD player, and Internet access.